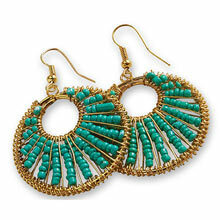 These Aztec Night Earrings are magical! 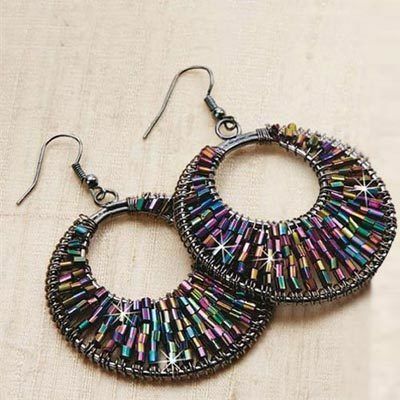 Tiny iridescent glass beads strung across wide, silvery hoops catch the light and change colors as you move. The deep tones work well with so many outfits. French wires, 2½"l. Hurry! Quantities are limited! These earring are really pretty and well worth the price!